(Left) Jain munis (spiritual leaders) at the convention. The vibe, the energy, the enthusiasm, the impressive list of eminent special guests, the imposing statistics, and the long roster of events in the areas of knowledge, inspiration, spirituality, entertainment, and more—all point to the fact that Atlanta just witnessed a historic event. 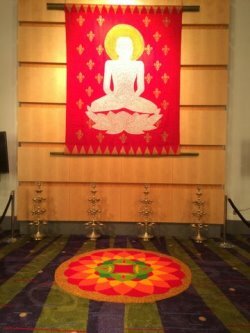 The Federation of Jain Associations in North America (JAINA) hosts biennial conventions. JAINA is a 35 year old organization and has about 150,000 Jains in North America and Canada, being the largest Jain organization outside India. 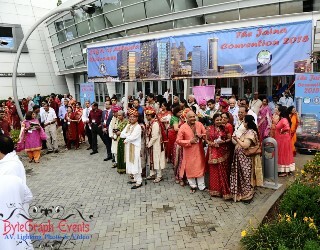 This year, a spectacular four-day JAINA convention was organized by the Jain Society of Greater Atlanta (JSGA), at the spacious Georgia International Convention Center (GICC), in College Park, close to the world’s busiest airport. On this Fourth of July weekend, Freedom in a plural sense was celebrated, Jain independence of soul from body, as well as freedom from Colonial rule for the USA. Violence is usually associated with causing harm to others, but in Jainism, violence refers primarily to injuring one's own behavior, which inhibits the soul's ability to attain mokṣha or liberation. 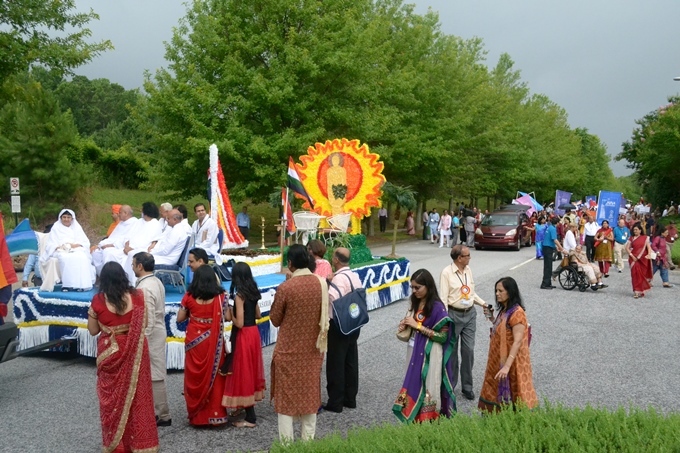 Atlanta is home to 550 Jain families, some of whom have been here for over five decades; they have pathshala classes and a facility in Norcross. The convention theme of ahimsa (nonviolence) found its rightful site in Atlanta, the birth place of one of the greatest global apostles of peace, Dr. Martin Luther King, Jr. The convention was graced by over 30 Jain monks, nuns, scholars (from India, the US, and other nations), social activists, distinguished professionals, and patrons. The talented couple Smita Shah and her husband Rajesh Shah, with a team of volunteers and additional items supplied by Kalpana Patel, created stunning decorations. Ramila Lodhaya made a temple (derasar), with a jharokha on two sides of the entrance . Five cubicles decorated with paintings and sculptures replicated the 5 elements of Jainism: Panchkalyanak-Chyavan, Janma, Diksha, Kevalgyan, and Moksha. Arches resembled the famous temples of Palitana in Gujarat. A floral silhouette of Mahavir Swami Bhagwan and 8’ x 8’ styrofoam replica of the temples of Samat Shikhar, with the mountain painstakingly carved and decorated, took more than 4 months to complete and will be preserved at the Jain temple in Atlanta for future visitors. On the behest of Madhu Sheth, Viren Mayani had organized a press conference with JAINA and JSGA officials. JSGA president Sameer Shah informed that 300 people worked for 8 months to make the convention memorable. The 4000 registrants raised $600,000 and an equal amount was raised through other means. 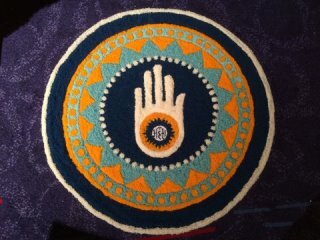 It was announced that there are now routine Jain presentations held at the Obama Whitehouse as well as Jain leaders seeking high political posts to promote nonviolence as a means to settle international disputes and more. 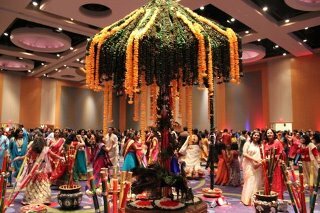 The swagatam (welcome) ceremony had a specially composed song and a fusion of classical and folk dances showcasing a journey from Atlanta to Chicago to Southern California. A dance and skit were presented by Atlanta youngsters. Raas is a dance from Gujarat that, thanks to Bollywood, is now celebrated across the globe. Mumbai-based Classic Productions Director Kamlesh Bhuptani’s artists’ regaled attendees at the Raas-Ramzat program. The packed hall of young and old formed circles and performed the high-energy garba and dandiya raas to hypnotic drum beats and popular Gujarati songs by noted singer Abhesinh Rathod and troupe. Raas-Ramzat at the Swagatam ceremony. On Friday, the next day, dignitaries present were Hon. Nagesh Singh, India’s new Consul General to the Southeastern US, former US Ambassador to the UN Andrew Young, Congressman John Lewis, Mayor of Norcross Bucky Johnson, Nipun Mehta (philanthropist), Mafatlal Patel of Patel Brothers (who donated all food for 3 meals/day for 4000), R. K. Sehgal, and others. Ladies carrying kalashes (earthen pots) led a great procession. A van and themed floats festooned with garlands carried the idol of Lord Mahavir. Some participants rode, sang devotional songs, and danced on the floats, while others marched waving Indian Tricolors, U.S. flags, and even Kenyan flags, and carried banners and posters, and some in colorful costumes and turbans sang and danced. Shouts of joy greeted the floats. Inside the main hall, the ceremonial opening began with a song “Maitri bhav nu pavitra zarnu” by Indravadan Bhavsar and an adult choir. The Maha Sanghpatis, Sanghpatis, and sponsors were honored on stage. 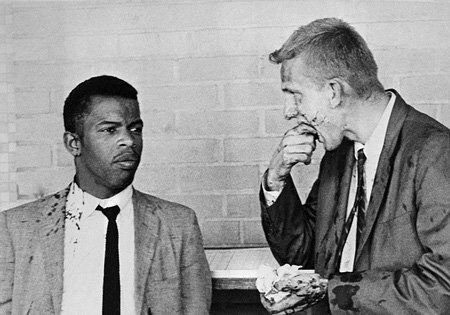 A hair-raising video (See similar photos below) was played about Congressman John Lewis’s Selma March. Lewis was born in Alabama in 1940. He was bothered with unfairness of segregation. He helped organize sit-ins at segregated lunch counters, participated in Freedom Rides of 1961, helped plan the March on Washington in 1963. He and Hosea Williams led a march from Selma, Alabama on March 7, 1965; he suffered a fractured skull due to police brutality. 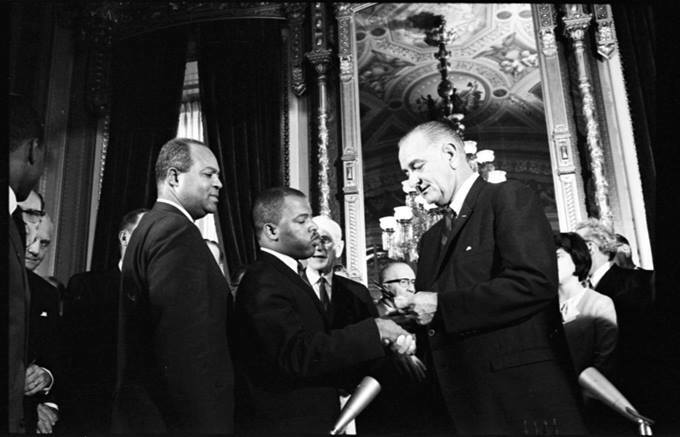 That Bloody Sunday sped up the passage of Voting Rights Act in 1965. In 1986, he was elected to the House of Representatives from Georgia’s 5th District. 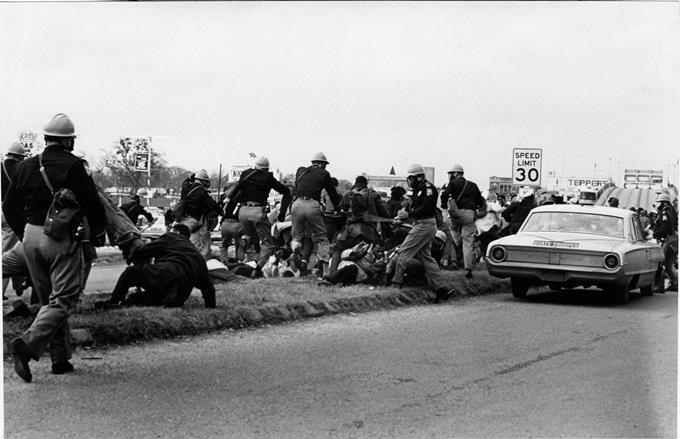 Following the chilling video, Congressman Lewis spoke of Bloody Sunday and the heavy beating from which he still suffers. 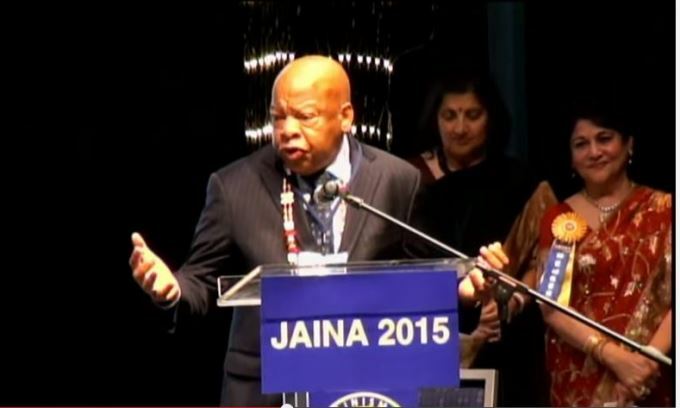 John Lewis noted that “Had it not been for Gandhi … I would not be standing here today. Thank you for preaching and teaching and living the way of peace, the way of love, and the way of nonviolence. Were it not for Mahatma Gandhi, Martin Luther King, Jr. there would be no Barack Obama as President of the USA. I have come here to say Thank you. Thank you for being you.” He recounted a touching event in his life: one of the guards that beat him came with his son to see him in Washington, D.C. to ask forgiveness. He was in his 70s and his son in his 40s. Both cried. Lewis said, “Let us remember that and leave the world peaceful for generations to come.” His remarks brought all attendees to a silent state of shock and disbelief and he received a tumultuous standing ovation when he declared Gandhi as his mentor besides Dr. King, to take such a stand and seek freedom without lethal force. A video depicting, then young and flamboyant, Ambassador Andrew Young, was played. His clips as a radio host and TV personality and then as an elected official, were shown. 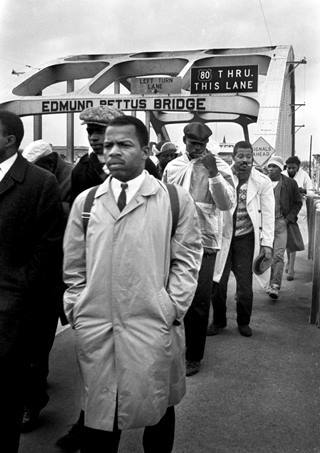 He, too, walked with Dr. King and fought for freedom. Young was born in New Orleans, became a minister, joined the Civil Rights Movement, became a mayor of Atlanta and the first African-American ambassador to the United Nations. In 1981 he was awarded the Presidential Medal of Freedom. He continues to fight for equality and economic justice. About President Carter he said, “he led this country without war for four years. It was the politics of respect. He never told anybody, anywhere what to do with the rest of the world. When he sent me to Africa, he said ‘When you go there, ask African leaders, black, white, brown, what can we do to help?’ And they asked for help - a peaceful transformation of Southern Africa. When he went to Israel and Egypt, they didn’t want to go to war but they alone could not find a way to stay out of it. So they asked him for help and now they have a Peace Treaty which is fifty years old, where no Egyptian has killed an Israeli and no Israeli has killed an Egyptian. Either we all stand together and fight as humans, while we still have a chance or fight each other and perish as fools.” He, too, received a standing ovation when R. K. Sehgal noted that Dr. King died in Ambassador’s Young’s lap. “Peace, and love and respect are only ways to make Jainism a true revelation of God on this planet. Thank you,” closed Ambassador Young. The final guest of honor to speak was Nipun Mehta from Berkeley, founder of Service Space, an incubator of projects for volunteerism, technology, and gift-economy. His mission statement in life is “Bring smiles in the world and stillness in my heart.” Mehta spoke at length of humility, an unpopular virtue. He said that we are filled with a sense of control instead of surrender, arrogance, an overblown feeling of entitlement—and that in Happiness index, U.S. went down from 12 to 23. We must walk for world peace, compassion. He quoted Sikh Guru Arjan Dev Ji on humility as a weapon against evil and referenced Mother Teresa, Christ, and Gandhi. “Everyone matters, he said. “Everyone has something to give.” He spoke of Nelson Mandela forgiving, and Dada Vaswani’s lessons on being zero: “not the English zero as the English zero occupies space. I am the Sindhi nukta …a dot. So that was the ideal placed before me," Dada explained. From the many lectures and activities going on concurrently there, here are highlights of two: (1) Lecture by Samani Suyashnidhi ji on Trust. It cannot be expressed but experienced. Cannot be purchased but exposed. It can be activated. Trust is the seed of the fruit of liberation. Three paths of liberation are right knowledge, right faith, and right conduct. The true trust: Tattvaartha shraidanam samyag darshanam. (2) Lecture by Gurudev Rakesh Jhaveri: Jivan Jeevvani Kala (The Art of Living Life). Difference between kashta (hardship) and dukh (sorrow): kashta is physical pain, dukh is imagined. Dharma will destroy dukh. For a happy life, have minimal requirements, maximum adjustments. Be in the present moment. Darshan nu sukh mano. Choiceless life is blissful. Adults were busy; so were the children, who were kept engaged by two instructors from Masterminds International. Young adults had a Bridal Match Registry, collection of bone marrow cells, Jain Academic Bowl competition; JAINA’s got Talent, and much more. Booths sold apparel, CD’s, travel, sinus flush, etc. Authors Robert Arnett and Smita Turakhia had a booth; many companies had displays. The cultural program began with the final round of competition for JAINA’s Got Talent. It included presentations, hit songs, and beautiful backdrops. The first group winners were Anjal Jain and Shilpi, and second group winners were Vineet Jain and Bela Gandhi. 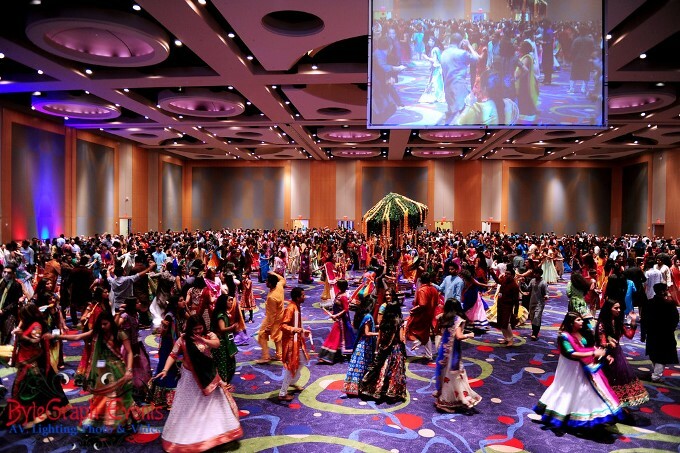 Atlanta’s “Jeenu Jeenu Garba” dance which won 2nd place was performed by 10 ladie, choreographed by NNKB's Vasanta Chivukula and Mital Patel. Later, all choreographers and convention leaders got on stage and illuminated battery operated candles to sing the Navkar Mantra. Children to seniors from all over the country performed. Emcees Reshma Shah and Seema Jain announced, “So Live, Let Live, and Rock on!” For more on the cultural program, including various dance companies and individuals, please see below. The night featured a powerful 3-hour performance by 2009 Padmashree Kumar Sanu, one of India’s most popular Bollywood playback singers, recipient of Filmfare Best Playback Singer Award for five consecutive years. The JAINA Ratna (Jewel) award was presented to Dilip V. Shah of Philadelphia, PA.
Conference logistics went smoothly for 4,000 people. We are usually in awe of the Jewish Community and their lessons of assimilation with the mainstream. However, credit must also be given to the absolutely phenomenal BAPS’ Shayona, whose volunteers served 3 different meals daily in about 2 hours each and without issues. And even security agents and management at the Center all greeted each attendee with a gentle bow, smile and folded hands saying “Jai Jinendra.” It was incredible! Thanks to Logistics Director Vijay Kothari, Program Director Manish Shah, Madhu Sheth for securing Ambassador Young and Congressman Lewis as Honored Guests, Deepak Shah and Sameer Shah for vision, programming, and titanic fundraising, and more than 300 others who served the event. 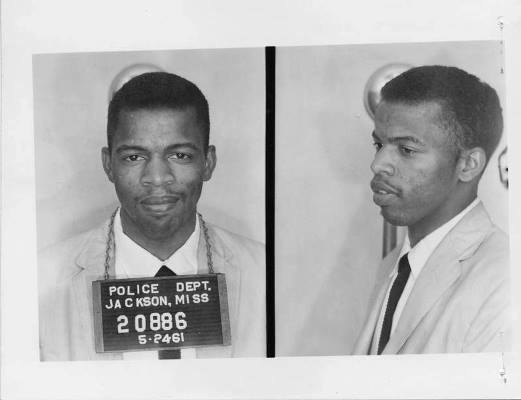 "2/27/60: 55 years ago today, I was arrested for the first time for protesting segregated lunch counters in downtown Nashville." "My first arrest. February 27, 1960 in Nashville, TN. I felt free. I felt liberated. I felt like I crossed over. #tbt"
I was hit in the head by a state trooper with a nightstick and my legs went out from under me. I thought I saw death. I thought I was going to die." Even though I was under arrest, I smiled because I believed we were on the right side of history. You too must find a way to get in the way. 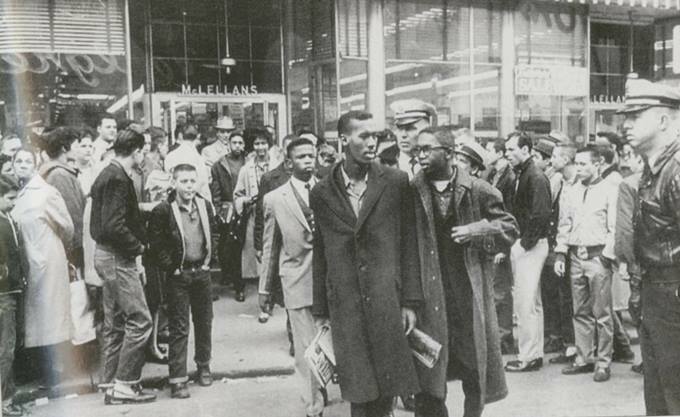 ‪#‎goodtrouble‬"
"8/28/63: The March on Washington was 51 years ago today [8/28/14]. I spoke number six, Dr. King spoke number ten, and out of everyone who spoke that day I'm the only one still around. 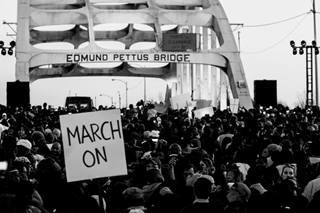 #TBT"
"3/7: 50 years ago today, we set out to march from Selma to Montgomery to dramatize to the nation and to the world that people of color were being denied the right to vote." There is no sound more powerful than the marching feet of a determined people. 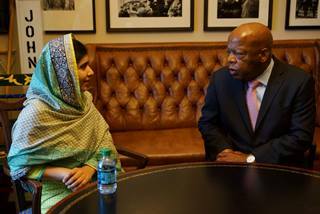 John Lewis with Malala: "6/24/15: Very pleased and delighted to have been visited yesterday by Malala Yousafzai. She is an inspiration to us all." Thanks: Media present were Ravindra & Devyani Dave of Rashtra Darpan, Anjali Chhabria of TV Asia, Vinod Sharma of Bytegraph, Mahadev Desai representing a host of publications, Mustafa Ajmeri of India Tribune, Mamta Shaha of Mangalam TV Show and Viren Mayani (Guest lecturer of Jainism at Kennesaw State University) for Khabar.